The appointment will be at 8:00 am in the lobby of the hotel where you are staying. 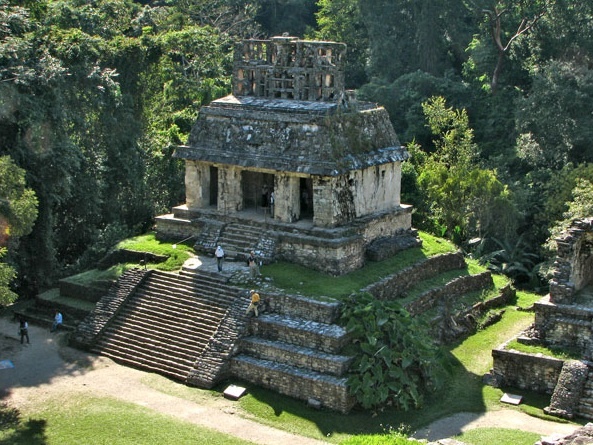 Then we go to the National Park of Palenque and visit the archaeological site. 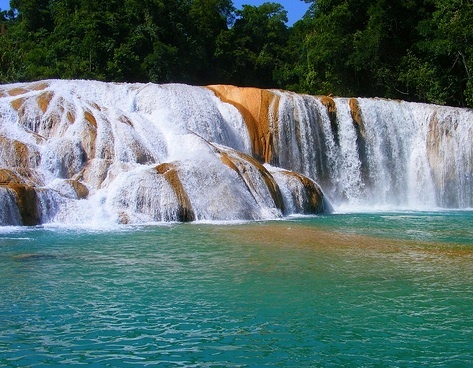 Once we finished the guided visit of Palenque with one of our bilingual specialists in the Mayan World, we´ll take the road to the waterfalls of Agua Azul. 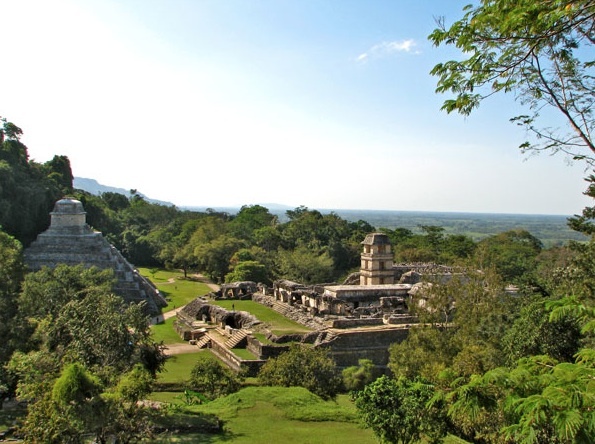 We´ll visit this spectacular place and take lunch in a typical restaurant . 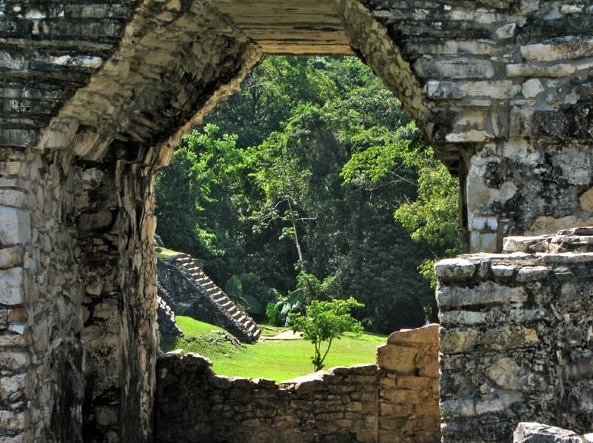 We´ll arrive to your hotel in Palenque approximately 17 30 hs. 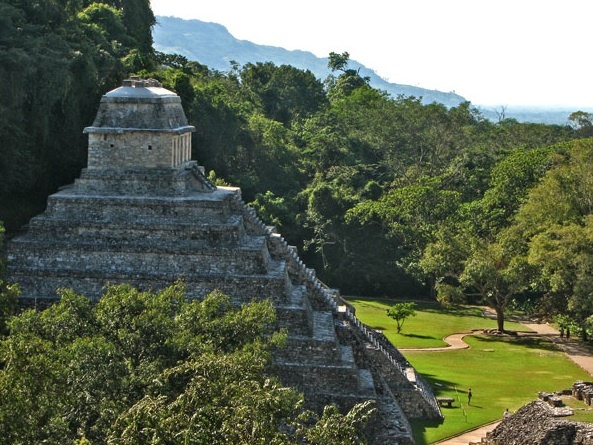 Located within the park is a world famous Mayan city and ceremonial center dating from about 4 BC to 1100 AD. 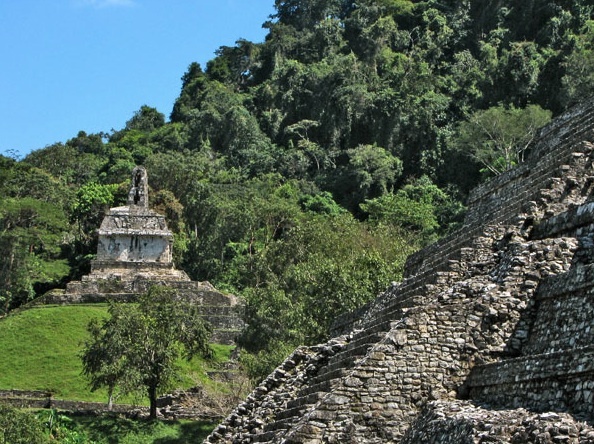 The Golden Age of the city was during the 600s AD when the Pakal king ruled. 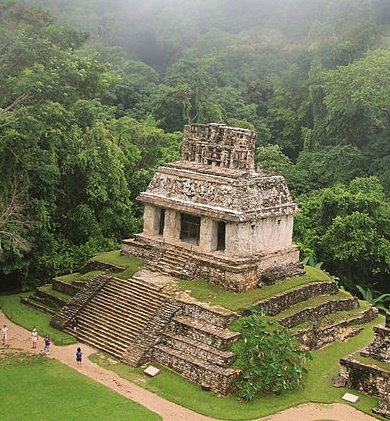 He designed and began the construction of inscriptions Temple, in which his tomb is located. 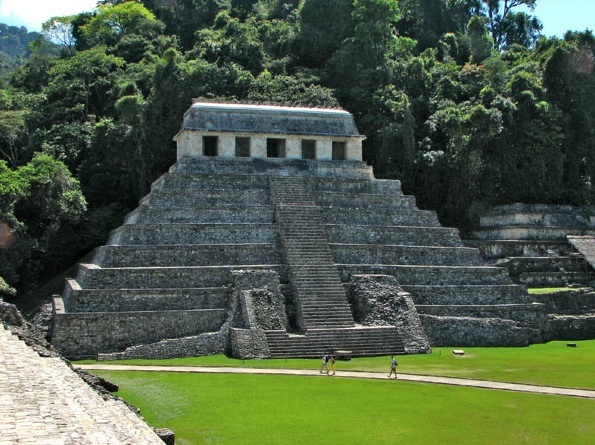 After his death the temple, with the tomb within its base, was completed by one of his sons, Chan Bahlum, Many Large elaborate structures make this extensive site one of the most fascinating in Maya world. There is an excellent museum and a museum store-refreshment area located within the park. 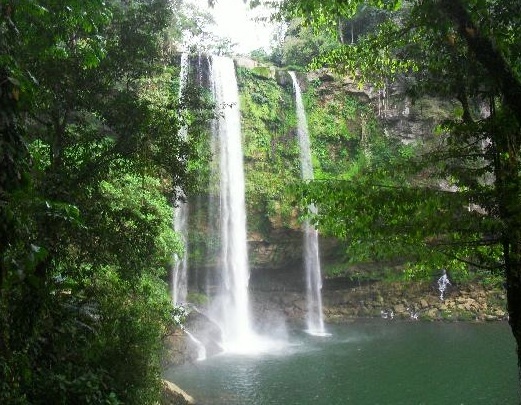 This is an area of limestone karst so there are numerous waterfalls, Agua Azul is the largest and most famous of these. 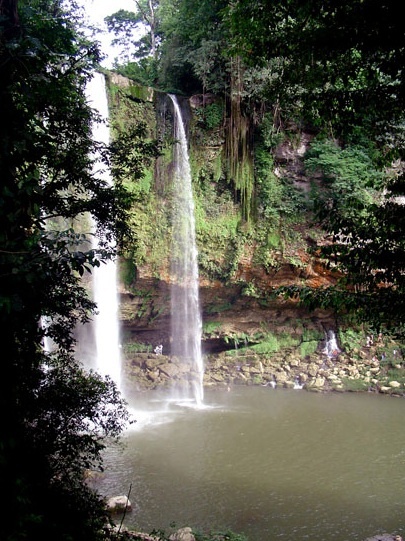 Very impressive amounts of water drop over numerous limestone escarpments forming a beautiful series of thunderous waterfalls. 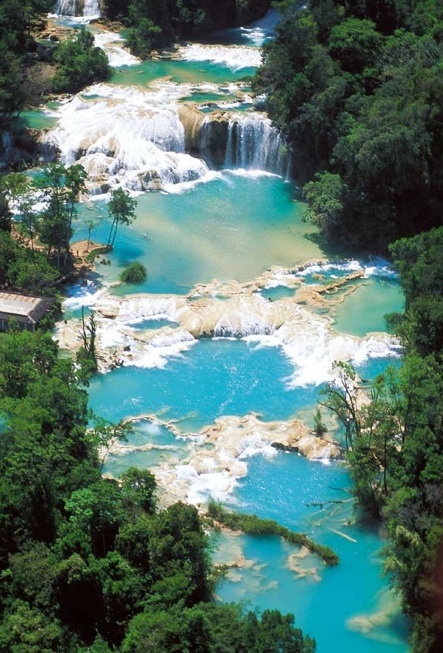 One may swim here in designated areas and with caution – do not stray into undesignated areas. 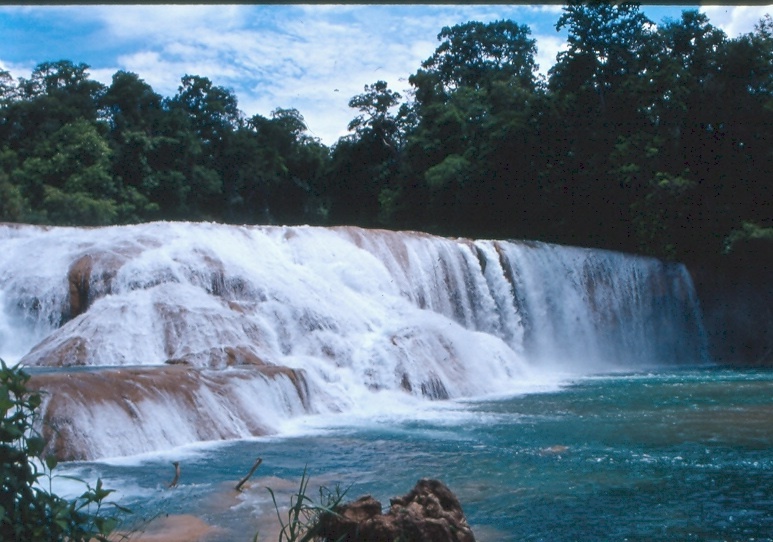 Misol-Ha (“ha’ means water in Maya languages) is a smaller but quite beautiful waterfall. 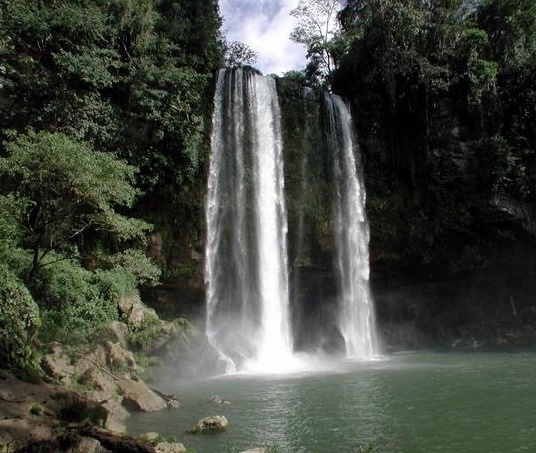 A cave behind the falls is the nightly abode of swallows that fly through the water to arrive there. Santa Clara is a quiet water area. There is a bridge from which one can observe the River Shumulha and its surroundings. Extra cash (tips, handcrafts, etc).